Blouse by Schneiders Salzburg. 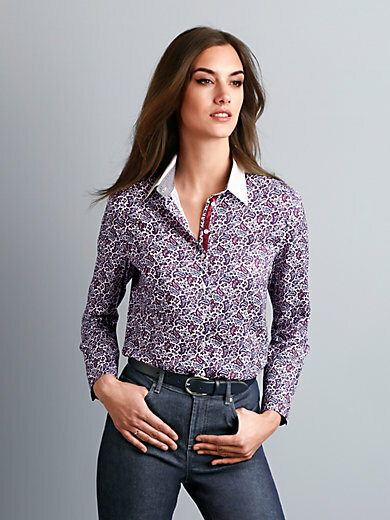 The elegant paisley print, sequin trim on the button panel and contrasting facing on the inside of the collar and cuffs give this classic shirt style blouse an enchantingly feminine touch. Slightly longer design with an inverted pleat at the back and rounded hem. 100% viscose. Length approx. 28ins. The blouse is machine washable.